Now here's an interesting one! 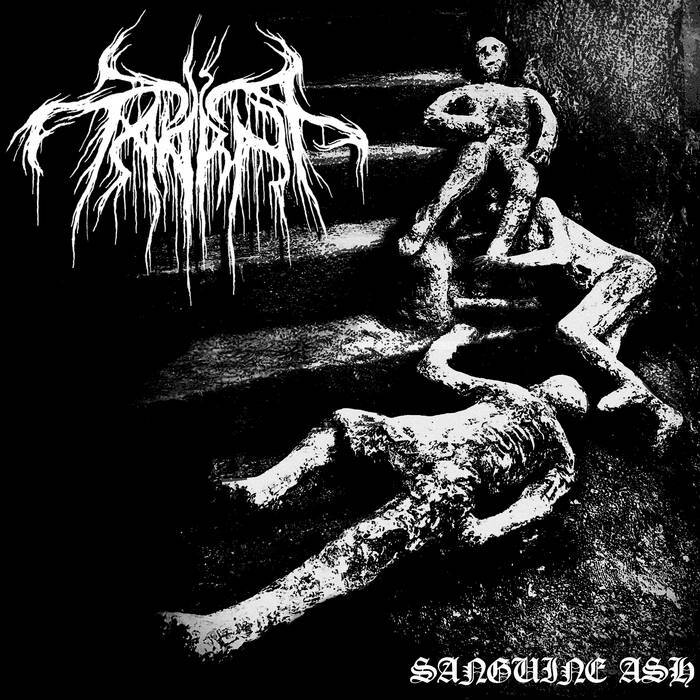 Taarna is a black metal band budding out of the Pacific Northwest, and while we lack information on them, it's still a pretty interesting release to dig in too with all manner of weird samples, gritty riffs, and a potent overarching vision that serves to make Sanguine Ash their debut release a thrilling listen and something that you can come back too and find new ideas within. There is something strangely satisfying with this record and the ethereal and beautiful development found within. 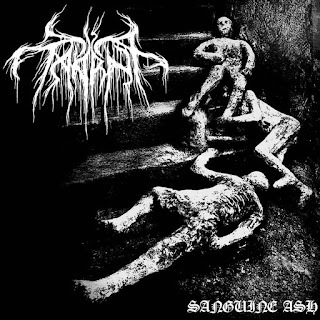 For me the fusion of ambient ideas with punishing black metal can't help but to fascinate. The strange and extended build up into the main body of the records single nearly thirty minute long track is exciting, it hints at a breadth of sound you can't quite wrap your head around. The simple and almost poetic nihilism of the art is another part of the appeal. In many ways the fact that you can see your skin melting off as this album unfolds is more of a bonus than anything else. It is an album that encourages you to explore the boundaries of the genre, and the breadth of the compositions hints at delicious weirdness to come. This is an album that requires some patience to fully unpack. It's not something that comes easily. The first chunk is more of an ambient release than anything else, and that's a huge part of the appeal. You need to dig through the fuzz and the madness to find truth. It's reflective of the human condition and the existential suffering that Sanguine Ash represents is not something most easily embrace. Taarna take you on a journey here and it's one that you won't soon forget. Turn on, tune in and drop out to this delightful black metal buried treasure.